So now that I'm a published author who has actually sold a few books, my life has changed in miraculous ways. The day the book was released to Amazon I had a standing 10am meeting with a friend/massage therapist. As I walked in the door, I was greeted with hugs, congratulations and high fives. We spent lots of time rejoicing and planning the future. I drove home smiling and feeling damn proud of myself. 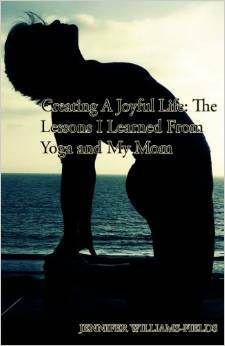 Mom's book is selling on Amazon!!! I know they didn't show their enthusiasm, but they meant it I'm sure. Never mind their lack of celebration, I'm a real author now! But, this garbage disposal doesn't seem to be aware I AM A PUBLISHED AUTHOR. It should have some decency and not be broken and spraying gunk out of it! And my car also isn't aware I AM A PUBLISHED AUTHOR. So it can just stop flashing that 'oil pressure low' light at me. And why does the pool have another leaky hose? Hello!!!! PUBLISHED AUTHORS don't have pools that leak! OK so maybe my life hasn't changed all that much. But, still, it's pretty cool and I'm pretty proud that I actually wrote a book. Although, I bet Stephen King's pool doesn't leak. HUGE NEWS! My Book Is For Sale!